Backpackers use this trail to access the spectacular Bull of the Woods Wilderness. It is one of the easiest routes into the area. 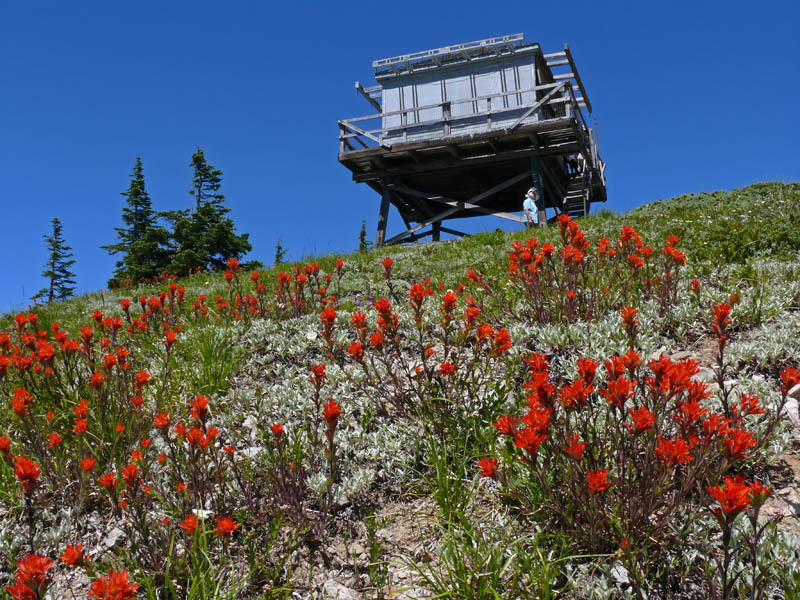 Passing through forest and several interesting rocky openings, it follows the rocky ridge south to an unmanned lookout with a stellar view of many of the High Cascade peaks and plenty of botanical interest. A small wetland near the beginning of the trail is an added bonus for the flower lover. From Estacada, head southeast on Hwy 224 for 25.6 miles. Just past Ripplebrook, turn right onto Road 46 and continue for 3.6 miles. Turn right onto Road 63 and follow for 5.6 miles until you reach gravel Road 6340. Turn right. After 7.8 miles, stay left where Road 6341 forks off to the right. Follow 6340 for another 1.6 miles until it deadends at the large trailhead parking area.